Product #18162 | SKU ATOMCAB007 | 0.0 (no ratings yet) Thanks for your rating! The 30-45 cm Micro to Full HDMI Coiled Cable from Atomos has tight fitting connectors. 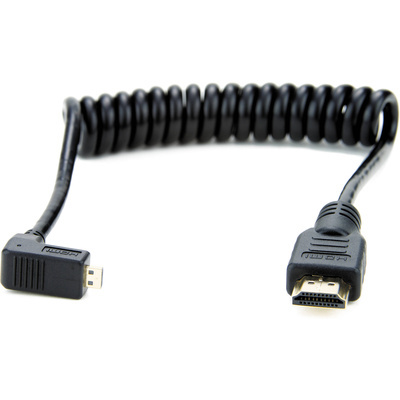 The cable is coiled to prevent clutter and extends the signal up to 45 cm. It has a right-angled micro connector for use with the Ninja Star recorder.